It's been 4 whole years since we released our last single - MARIANA's TRENCHCOAT. And finally last Thursday, we Mastered our new upcoming single TRY TO FIND A WAY. And it's been just that - trying to juggle all of our life's projects and mahi. 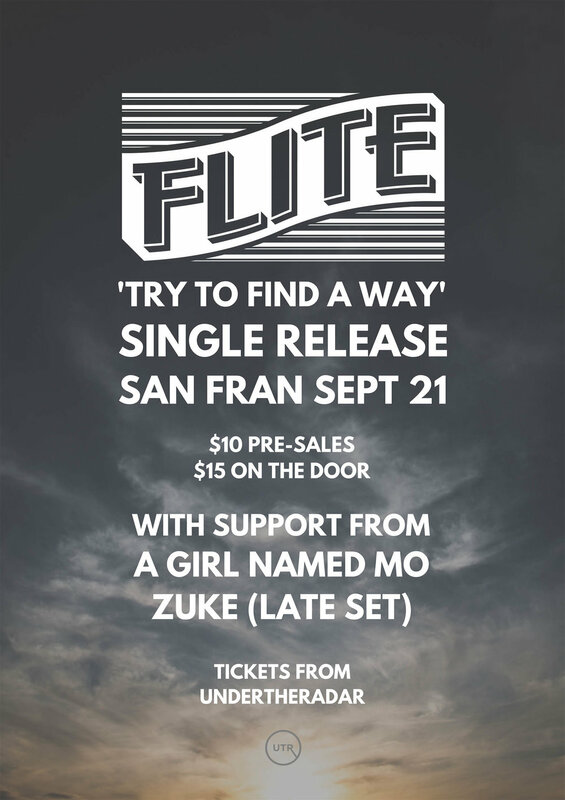 Now we are excited to say, TRY TO FIND A WAY will be available for your personal listening and digital download from the 7th of September, and our single release party will be in Wellington at SANFRAN BATHHOUSE. a fresh project from keyboardist and producer, Ed Zuccollo (Trinity Roots, Thomas Oliver, Rhian Sheehan) the Zuke concept is an exploratory journey into the physicality of immense bass, aimed at confronting big systems head-on. Get your early bird tickets at Undertheradar.co.nz for $10 or $15 on the door.